Becoming a medical assistant means becoming part of the beating heart of any medical practice and taking on a wide range of duties and responsibilities. As a medical assistant, you’ll be caring for patients, engaging in a wide variety of clerical duties, and serving as an integral part of a larger health-care delivery team. So, if you are looking for a career that challenges you but allows you to make a real difference in people’s lives, then the role of a medical assistant may be right for you. 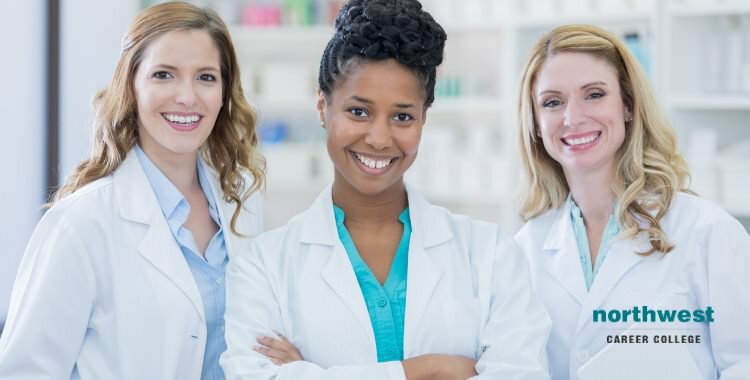 As a general rule, Medical assistants are responsible for a range of administrative and clinical tasks in the offices of health practitioners, such as physicians, podiatrists, and chiropractors. The medical assistant often functions as a liaison between the doctor and the patient, preparing the patient for procedures and assisting the physician during them. Medical assistants are tasked with a range of both medical and clerical duties and must be able to understand medical documentation and diagnoses on charts or electronic health records. A medical assistant should be able to use basic clinical instruments to take a patient’s vital signs, such as heart rate and blood pressure. In order to make sure that medical documentation is correct, medical assistants need to be accurate when taking vital signs or recording patient information. Patient information is confidential and medical assistants should be able to keep that information confidential unless discussing it with other medical personnel who are involved in treating the patient. As a medical assistant, you’ll often be asked to interact with patients who may be in pain or in distress. A vital part of being an effective medical assistant is the ability to act in a calm and professional manner, providing the best service possible while maintaining a level of empathy for your patients. Most healthcare employers prefer medical assistants who have graduated from an accredited medical assisting program, like the one here at Northwest Career College. Our course allows you to graduate in as little as nine months and our students have an 88% national exam pass rate. Most accredited programs include an internship that provides practical experience in a health care facility or physicians’ office. We offer internships with all of our medical assistant courses, allowing you to gain valuable real-world experience that will set you apart when applying for medical assisting positions. Employment for Medical Assistants is expected to increase 23% from 2014-2024, faster than average for all occupations according to the United States Department of Labor, Bureau of Labor Statistics. The role of medical assistant is in high demand, with an additional 183,900 new job opening expected to be created over the next ten years. On average, a Medical Assistant earns $31,540 a year, with more than half of working Medical Assistants earning far more, according to the Bureau of Labor Statistics. The average wage for a medical assistant in Nevada is slightly higher than the national average at $34,722 a year.